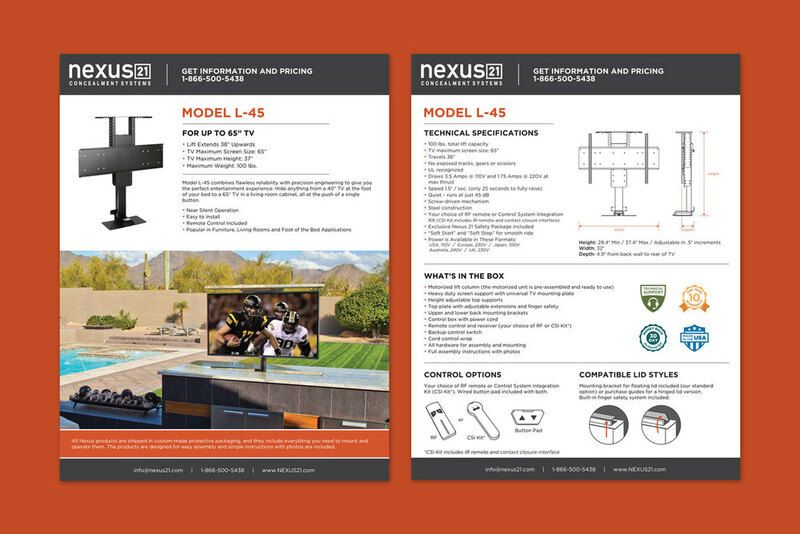 Commonly used sales materials were updated to create cohesive branding. Price Lists and Product Guides are provided to AV dealers to demonstrate the available product line and the specific pricing structure they fall under. Spec and Data Sheets are provided for each specific model.